Popular Nigerian singer,Davido seems to be in the mood as he showed offChioma’s N827,000 Fendi Bag, which is one of the latest in town. 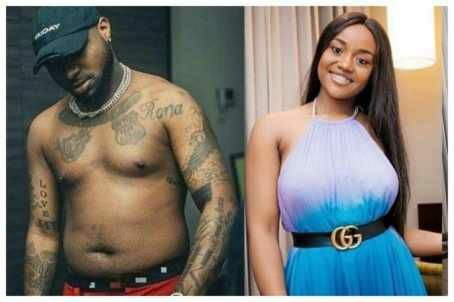 According to Davido, His wife, Chioma wears the latest designers wear. He shared a video of her rocking the latest Fendi Bag, which he captioned, “My wife wears the latest”. See post of Davido showing off Chioma’s bag below;Davido has been referring to Chioma has his wife lately, and she also expressed willingness to tie the knot, so we might be about to witness of special wedding soon. Many feel, Davido might have gotten the expensive bag fro CHioma, well, that can be true as his generosity is well recorded, yesterday he bought the newly released iPhone XS for members of his team. Davido took to his Insta-story to share photos of the iPhone XS he bought for his team members. Few months ago, Davido was also in the news after he bought the iPhone X for his DMW crew. He popped a bottle of wine in Lebanon where he turned up for a show, and then displayed the phones on the table for them to take.